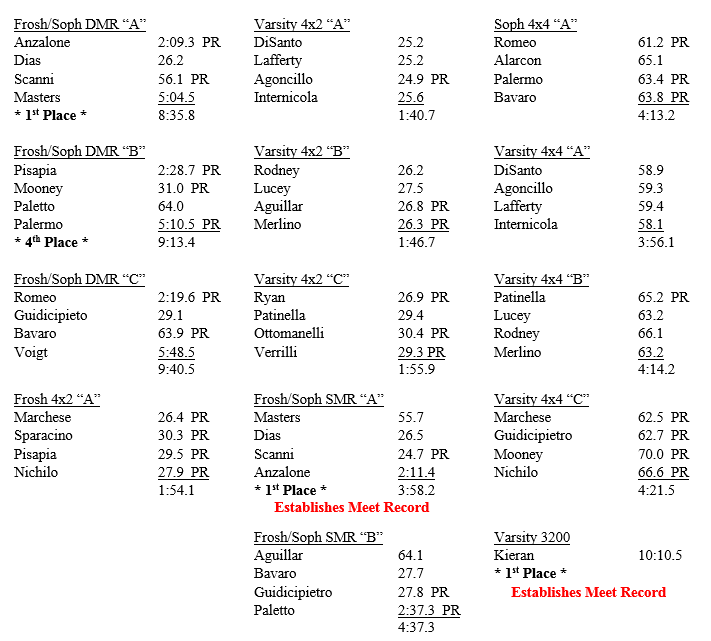 The Sophs win the Frosh/Soph SMR & DMR's. In the Frosh/Soph DMR the relay opened up to a big lead and never turned back. Steve Anzalone, Kenneth Dias, Hudson Scanni and Nick Masters completed the relay. Later in the day the same foursome would combine to set a meet record in the Frosh/Soph DMR. Junior Michael Kieran was victorious and set a meet record in the Varsity 3,200 unleashing a big kick with 500 meters to go.